Hamburg's Swiss international Leo Lacroix has showered Arsenal's Granit Xhaka with praise, describing him as a "true playmaker" who deserves to be playing for an elite European club. Xhaka has emerged as a key player for the Gunners since signing from Borussia Monchengladbach in 2016, playing every Premier League game so far this season for Unai Emery. Lacroix believes Xhaka is a key component to any team that he plays in, lavishing praise on his international teammate's versatility. "He has enormous quality, he can make the difference with his passing, his ball recovery, his goals, he's a true playmaker,," Lacroix said, as quoted by G​oal. "I've played with [Xhaka] in the Swiss Under-18 and U-19 teams, then he went straight up [to the seniors]. 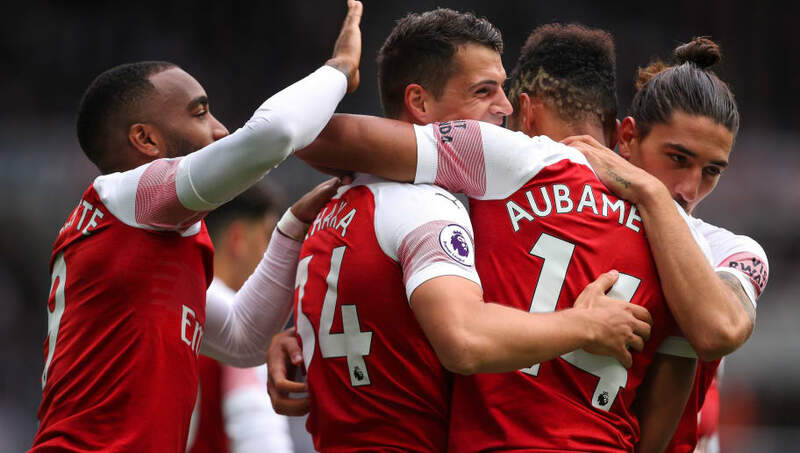 Xhaka was considered one of Europe's most promising midfielders when he arrived in London, and after a slow start, is starting to show Arsenal fans of his quality on the pitch, scoring an inch-perfect free-kick against Crystal Palace last Sunday. The 26-year-old midfielder has also appeared at two World Cups for Switzerland, helping his national side to two consecutive knockout stages for the first time since 1930. He will be hoping to continue his good form when the Gunners take on Sporting CP at the Emirates Stadium in another Europa League group game, before facing up to Wolves in the Premier League on Sunday.